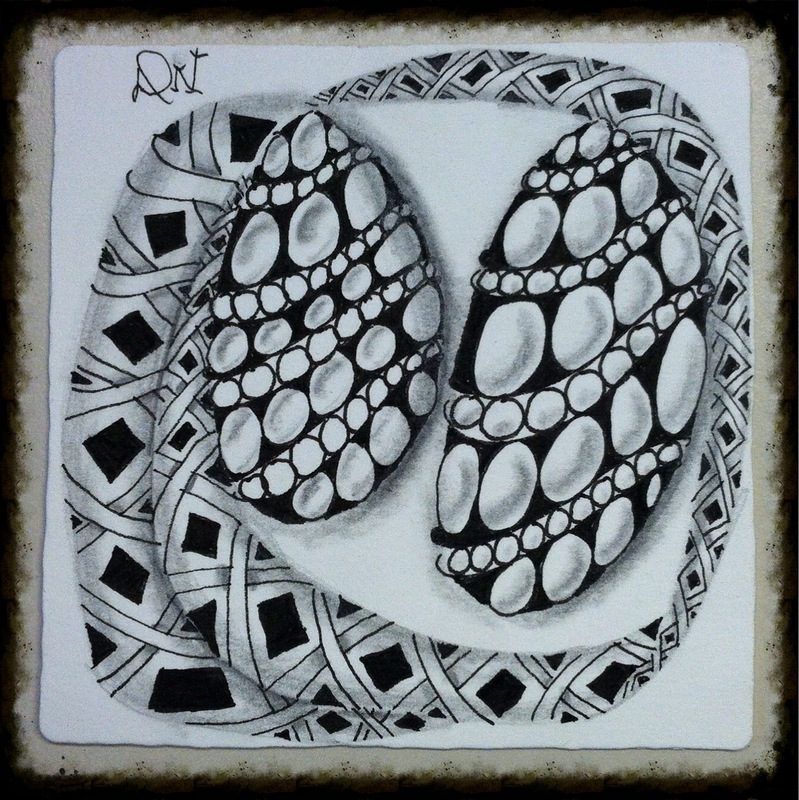 It’s hard to believe that I have posted eight entries as of today to the One Zentangle a Day self-imposed challenge I undertook. Maybe it’s my imagination, but it feels like this is getting easier as I delve deeper into each page of the book. Day eight focused more on making each section appear to be three-dimensional using subtle shading techniques. I noticed that some of my formal training comes into play when I shade each tile. Many new artists find shading to be intimidating, but I find shading to be so relaxing and fun. As I shade each section of the tile, I find that is when I truly enter into the “zone”. When creating this tile, I learned two brand new tangles called “Purk” and “Vega”. Purk is the pattern that is oval in shape with smaller ovals and circles within. Vega is a nice complimentary tangle that snakes around the outside of the two Purk tangles I used. Please feel free to comment or give feedback and as always, I hope you “like”this post! Very successful. The patterns and shading really make this piece and give it dimension.